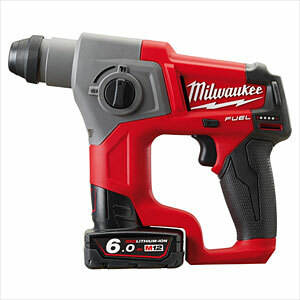 New to the Milwaukee Fuel range. 12 volt compact Fuel SDS dual mode (rotary or rotary + hammer) hammer drill. Supplied with 2 x 6.0ah Li-ion batteries and charger. Milwaukee® designed and built brushless POWERSTATE™ motor for up to 3x longer motor life and up to 2x more power.